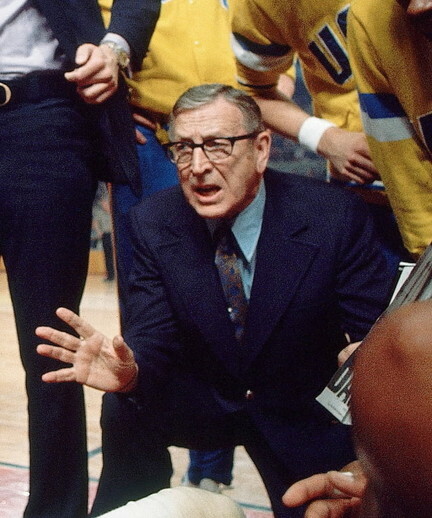 John Wooden was arguably the greatest College basketball coach of all-time; a ten time winner of the NCAA national championship, the holder of an 88-game winning streak and basketball Hall of Famer (as both a player and a coach). 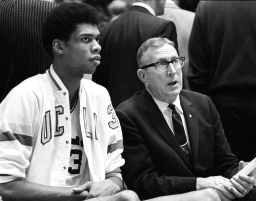 As coach of UCLA, he helped develop some of the most celebrated players in NBA history, including Lew Alcindor (who later took on the name Kareem Abdul-Jabbar) and Bill Walton. As a fan of both sport and organisational performance, Wooden on Leadership was one of the earlier books I read on leadership and productivity. Some of the concepts in the book are fairly straightforward (though his followers wouldn’t let you believe it), but there are a few topics that have changed how I think about things. One that I’ve tried to take with me is “personal” or “attainable greatness”, particularly when organisations are assessing their employees’ performance and I’m assessing my own. Firstly, a bit of context. We tend to identify performance by comparing people against each other. This is the easiest way to do things; just look at everyone’s achievements and those with more or better ones have performed better than the others. Society trains us to think like this, whether through sport, exams or any other competitive task. Through this lens, the ‘greatest’ performer is the person with the most and/or best achievements. This approach is helpful for some purposes, particularly because it intends to provide objectivity and a comparison in assessing performance. It provides a quick and easy way for an organisation to review its workforce, enabling it to make better informed recruitment, promotion (taking account of previous caveats) and firing. 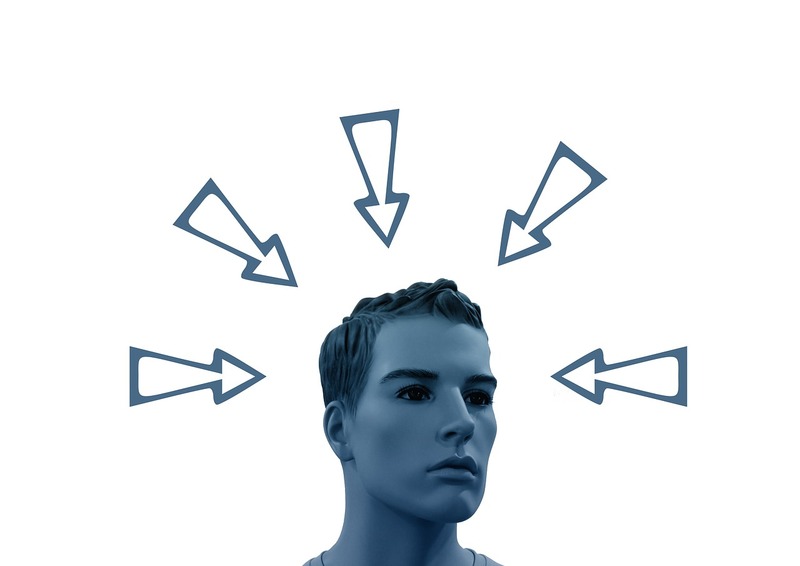 It clearly has a place in performance assessment, but there are a few reasons why it shouldn’t be our sole methodology; firstly (and obviously), it neglects potential; secondly, it is ineffective for motivating people; thirdly, raw ability (in whatever form) is outside of an individual’s control; fourthly, it can drive leaders’ focus on recruitment and firing rather than teaching/training; and fifthly, it makes life fairly frustrating (because some people just can’t perform ‘well’ enough). 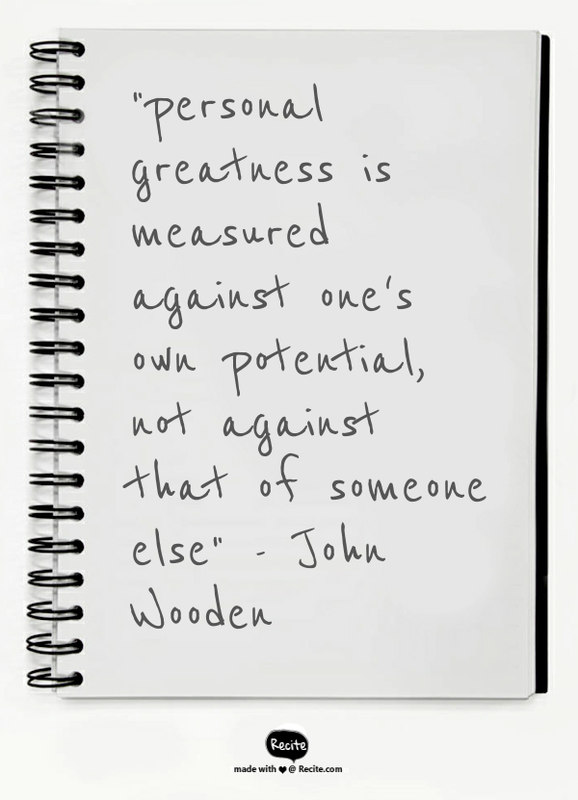 That brings us to Wooden’s concept – “Personal Greatness”. To him “personal greatness is measured against one’s own potential, not against that of someone else”. By looking at the world through this lens, you start to see people as having achieved a certain % of their potential rather than just seeing their raw performance. I find this a very empowering perspective, probably more so due to my own flaws. Before it became part of my mindset, I used to get hugely frustrated with people who simply weren’t naturally talented at what they were doing. Thinking about personal greatness makes me a lot more balanced. It forces me to think about people’s abilities, their strengths and weaknesses in order to assess their personal greatness. While I, like everyone else, make mistakes (e.g. often underestimating people’s capabilities) in these judgements, it at least drives me to think about people in a more detailed way. This leads to a range of benefits – it gives me a way to think about where to focus time, effort and money in order to help people develop. It helps me identify people’s niches; the work they’ll enjoy and do most productively. It really helps manage my frustrations as well – or at least better direct them… More of my concerns are now aimed at those who aren’t fulfilling their potential, rather than those who can’t perform any better than they already are. It means I push the right people and appreciate the personal greatness successes of those who I’d have failed to recognise previously. I also find the concept empowering when looking at myself. 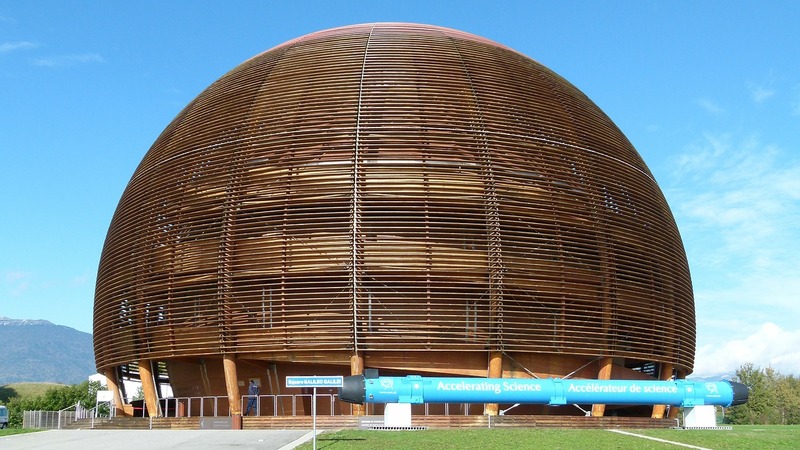 If I stand in a CERN laboratory, then it’s likely that I’m one of the least intellectual people in the room. If I try to judge my intellect by comparing myself to those CERN scientists, then I’m going to think of myself as very stupid. If I then go to a nursery school and only compare my academic abilities to the kindergarteners’ current ability, then I’m suddenly going to believe I’m a genius. 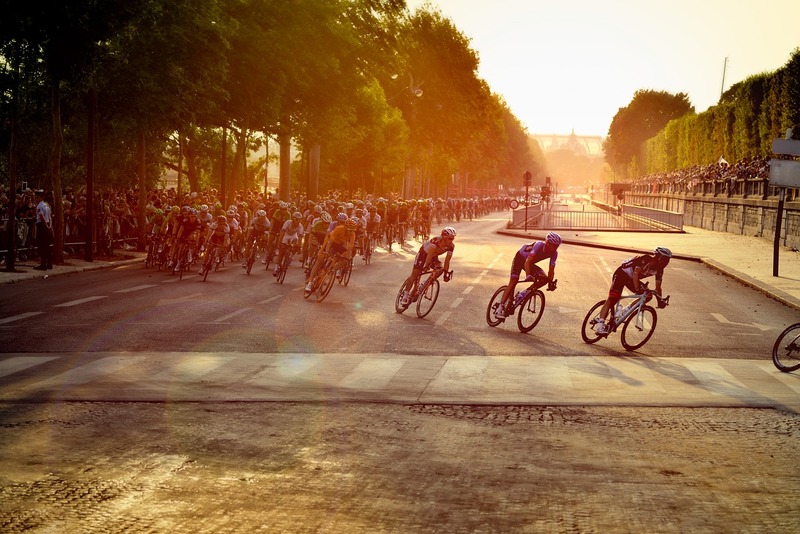 Depending on your personality these scenarios can have a range of impacts – some people find it motivating to try to catch up with more able people (although that effect is likely to wear off if the gap is too big or lasts too long), while others become determined to stay ahead of the pack. Others can just feel it’s pointless to try if they’re lagging behind, while others become lazy if they’re ‘the best’. Whatever the impact, relying on the environment leads to a very unstable view of yourself. On top of this, people often determine their ‘worth’ or ‘ability’ through external evaluations. Yet everybody evaluating you has some reason to do so, which is likely to bias their judgement. For example our family and friends want to build our confidence (think Dragons’ Den or the X Factor), while our boss wants us to do what they want (whether that’s seek a move or stay with them) and even allegedly neutral people tend to be desperate to say something insightful (even when there’s nothing sensible to say). By looking at your personal greatness, however, you have a consistent target – to, in cliched terms, be the best that you can be. If you can be honest with yourself and stop relying on external evaluations of yourself (often a very difficult step) then you give yourself a stable goal. By being more internally referenced, you become more self-sufficient (as long as your self-evaluation is realistic – there’s always a risk of being too down on yourself), as you don’t need external validation. It enables me to be more resilient when faced with the views of others, while also making me more relaxed about situations where others will judge me (in the purest form, it means there’s no more pressure presenting to a Board or sitting at a desk – the pressure is only to deliver against your potential). Personal greatness is a concept that can help individuals, businesses and employees. Businesses need to think about the purpose of evaluating an employee when thinking about how to evaluate them – a manager doing normal management should be using personal greatness to get the most out of people, while firing clearly has to be a comparative decision. Employees can think about their own personal greatness to better understand themselves and find their most fulfilling career. Most importantly, people can use personal greatness throughout their life to become more resilient, more emotionally self-sufficient and take control. Interesting article James. I’ll be putting the book on my list. It definitely sounds like a good approach to personal development, and also for when you’re managing individuals, but less useful for recruitment. One question, without the ‘absolute’ of a norm group or external reference of benchmark to compare the individual to a wider population, I imagine some people would struggle understand their own strengths and weaknesses. Sometimes you need that ‘absolute’ framework to understand ‘relative’ strengths and weaknesses. What do you think? Where do you think the external reference is most useful? (what our boss or workplace thinks of us is pretty important, even if it’s biased – and sometimes we need to know what our local ‘norm’ is if we’re going to contribute effectively to it). Hi Ellen. I totally agree that you need that benchmark to enable some assessment of your own strengths and weaknesses, although I still think the internal reference is relevant here (i.e. how good can I be at those specific things?). The challenge to “benchmarking” is finding the group to reference yourself against; otherwise you can quite easily just bounce from one thing to the next (because you’re the best at x in your current environment, but in an environment which suits people who are good at x, then your suddenly average or worse at x. But you’re much better than everyone else at y… etc). If you only looked internally then you’d be really difficult to work with and fairly cut off from things, so I do only mean in assessing our own performance. I also think there’s a difference between what our boss and workplace thinks of us and what they say to us – I’ve had managers try to use criticism to motivate, others use praise, some try to convince me not to move into a new role, some try to take me under their wing etc. What they actually think is important, but what they say might not be! In terms of when its most important, it’s a difficult one. I’d say it’s most important where it’s most objective and there’s the broadest sample – e.g. if you get an A* in A-level maths, then that’s more important to me than your teacher saying you’re good at maths. I think it’s also more important when you’re making the equivalent of hiring or firing choices, i.e. whether you enter or leave a certain “arena” or not. When you’re in the specific field I think being internally referenced is much more important, but the entry or departure point needs external reference.